Sometimes, from the moment you first see a knitting pattern, you know you absolutely-must-knit-it-no-matter-what. Even if it is absolutely crazy and huge and you're not quite sure what you'll do with it after you knit it. For me, Celestarium was that knitting pattern. 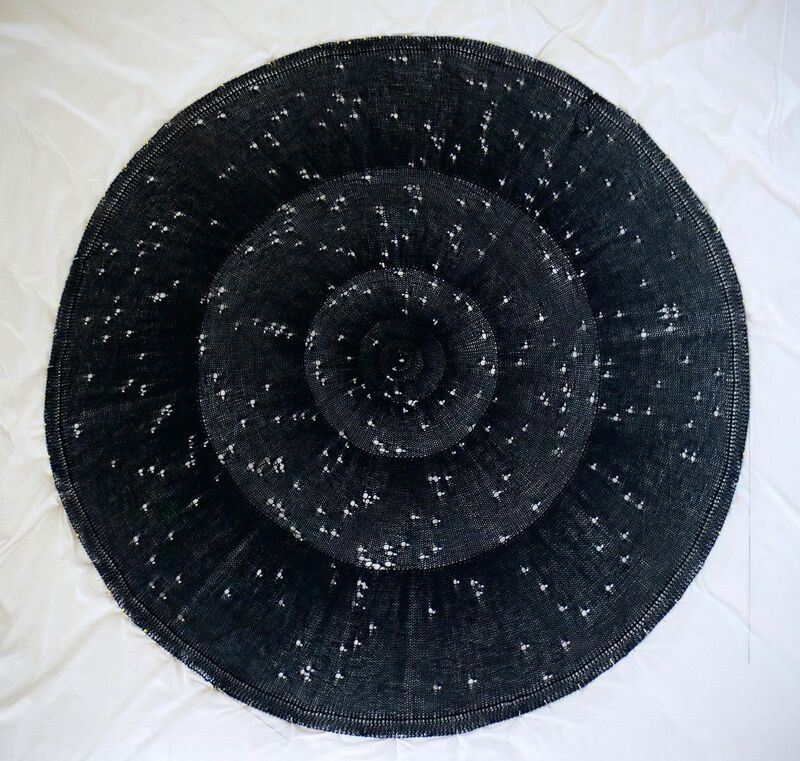 Celestarium is a huge circular shawl with beads arranged to form the constellations as seen from the northern hemisphere, with the North Star in the center. I began this project on December 21st, 2013, right before I went home for Christmas. This seems like a pretty intimidating pattern at first glance-- there are 6 sets of charts, and the final chart is 8 pages long. After I got into the rhythm of count-knit-knit-knit-yarn over- bead-knit-knit, though, it became relaxing and fairly mindless knitting. It was really satisfying to watch the constellations emerging as I finished each chart. 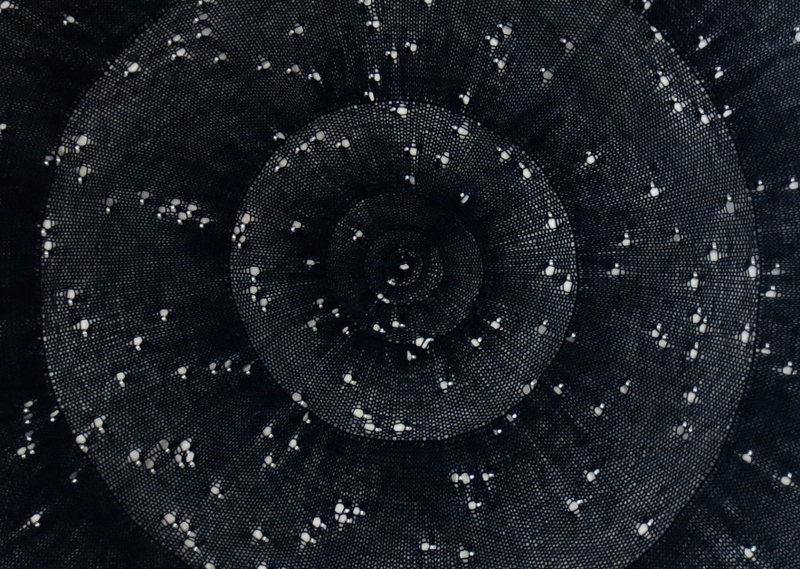 I knit my Celestarium with Knit Picks Stroll yarn in the Midnight Heather color. According to the pattern, it should have taken 1200 yards on size 4 needles. However, even though I went up to size 6 needles (I am a tight knitter and wanted to keep the shawl light and airy), I only used 1039.5 yards of yarn. That leaves me a skein and a half of yarn to knit up into little dark blue hexipuffs for my Busy Bee Blanket! ...Well, eventually. Not now. I have had enough navy blue for the moment. 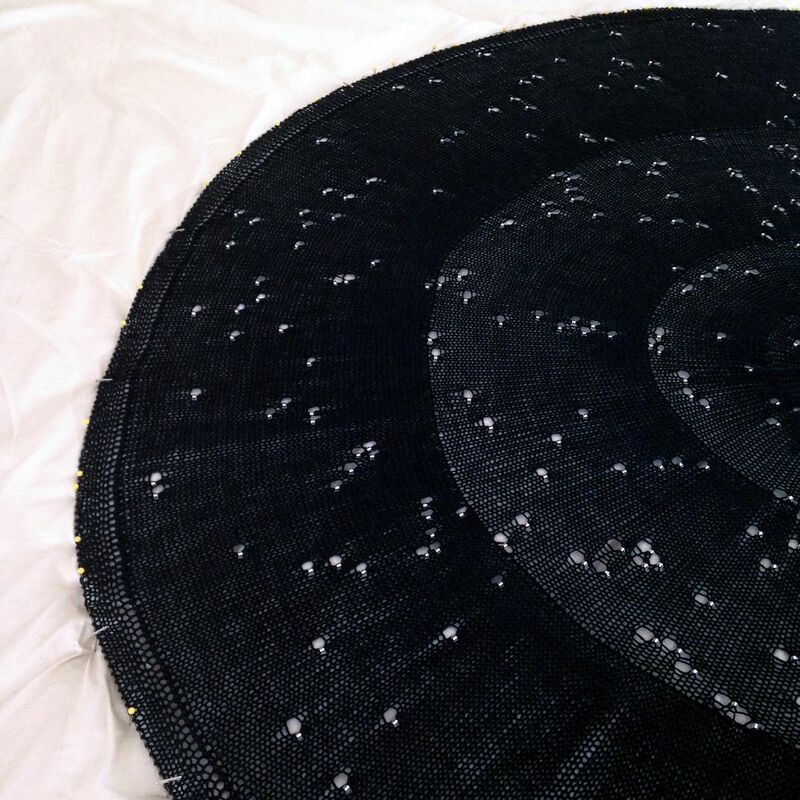 My finished Celestarium measures 48" in diameter, though I expect that will shrink slightly since I blocked the shawl pretty severely. I'm planning to frame it and hang it above my dresser, with a small, framed constellation chart next to it. I am so pleased with how it turned out! 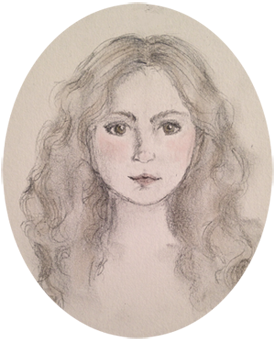 Finishing the Celestarium has inspired me to start another huge project-- but that's going to be a present for two very special people, so it has to take a secret for now. I'll be able to reveal it in a few months-- I can't wait! wow, such an impressive knitting project! I've seen the pattern being mentioned on several blogs but I didn't think there'd be many people who actually knit it. the final result is fantastic - definitely worth the effort!